Howard Risher contends in a recent PA Times column that government personnel actions are largely based on seniority and not individual performance. I believe these claims seriously overstate the situation. I can attest from over 40 years experience as a federal employee that performance is very much an issue in federal employment. And we should remember there is a very large contractor work force doing federal government work. Performance most certainly is an issue for contract workers. Congress has legislated extensively in the area of performance management for federal employees. The Office of Personnel Management’s (OPM’s) website includes a major section devoted to performance management. OPM lists 40 performance related topics together with corresponding citations from the U.S. Code and the Code of Federal Regulations. The topics include employee appraisal requirements, reduction in force, performance awards, performance-based actions (adverse actions), quality-step increases, suggestion awards and within-grade increases. Agencies are required to have a five-level performance rating system for each employee: “Level 5 – Outstanding, Level 4 – Exceeds Fully Successful, Level 3 – Fully Successful, Level 2 – Minimally Satisfactory and Level 1 – Unsatisfactory.” Employees must be rated every year. Employees who are less than fully successful can be removed for poor performance. Here is an OPM Handbook for Measuring Employee Performance and OPM’s guidance on writing performance standards. There certainly is no shortage of effort in managing employee performance. I can attest as a first level supervisor that the performance management system was taken very seriously and required a significant amount of time to administer during the year. I don’t ever recall a federal hiring or promotion decision that was based on seniority rather than ability and performance. I strongly disagree with Risher on this point. Managers in government are under pressure to produce just as managers are in the private sector. There are huge incentives to select the best person for a position and ignore seniority. The GS (General Schedule) pay system covers most federal employees. Pay grades range from GS-1 through 15. When I say promotions are based on performance and ability, I am referring to promotions from one grade to another. It is true the federal within grade pay increases are largely automatic and based on time in grade. I would agree it is really difficult and unusual to remove a career employee for performance (as opposed to misconduct). The reason is that employees have significant appeal rights and the removal process is difficult for supervisors and managers to navigate. Of the removals for performance, about 70 percent occurred during the probationary period. This means that extremely few removals (about .054 percent) were for career employees who were beyond their probationary period. The article cites data suggesting that 1.4 percent of employees in the private sector are removed in a given year but this figure includes layoffs and other reasons. The article suggests it is difficult to compare the federal government to the private sector regarding removals. On the contrary, I think parents would be remiss in not wanting their children to consider federal employment, unless they were confident their children would become corporate executives or high priced lawyers or consultants. The job security plus the pay and benefits package for federal jobs is very attractive compared to most jobs. It’s not surprising that Republicans are trying to cut back on job protections, reduce or eliminate Cost-of-Living Adjustments (COLAs) for retiree pensions, and even eliminate the defined benefit pension altogether for new employees. Overall, it’s wrong to think that performance doesn’t matter in government employment. People are hired and promoted based on ability and performance. 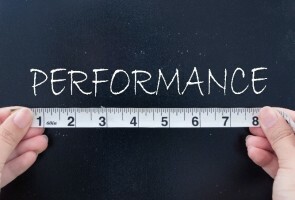 OPM enforces many laws and regulations that govern performance and most employees take pride in their performance and try to maintain and improve their skills.